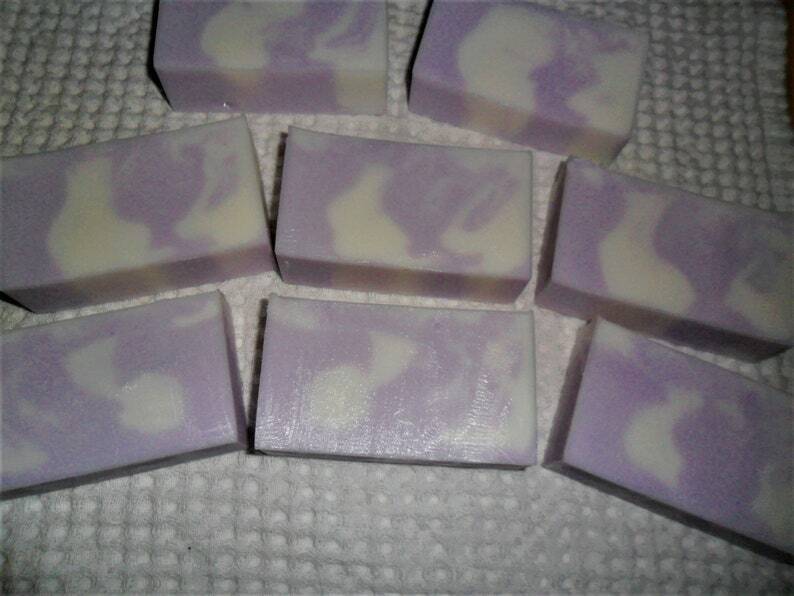 Lilac Soap Loaf 2 Lb. Moisturizing bar made with Glycerin, Shea Butter, Exotic Oil, Vitamin E, Grapefruit Seed Extract and Herbal Extracts. Scented with a beautiful floral Lilac. Spring scent in a bottle – as though a soft breeze stirred the entire lilac bush. Store in air tight bag or container. Essential Pleasures Soaps since 1997. Stock Photo, Handmade, variations will occur.